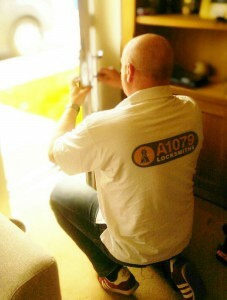 A1079 Locksmiths 01759 305666 - York, Pocklington, Yorkshire. Worried that your property is unsafe? We can help secure your windows and doors with specialist locks. We do NOT charge VAT and we will NOT be beaten on price! We cover Pocklington, Market Weighton, York, Stamford Bridge, Driffield, Selby, Malton, Beverley and all villages and hamlets in between. If you require my services, you are probably having a bad day! Alternatively you’re in a situation where you need to trust a complete stranger to come into your home, amongst your loved ones and valuables, to upgrade, change or repair the locks to your home. Let me offer you some reassurance, I was employed in the Government Security Sector and needed the highest grade of security clearance to do so. I have TWO separate Police and court clearance checks and am also security cleared to be registered on East Yorkshire councils Home Registry Directory for Age UK. So you can be certain that I am trustworthy and you are welcome to view validation upon request. I am friendly and approachable and sympathetic to your requirements. Many customers require discretion from their Locksmith, someone who is low key (forgive the pun). I maintain a level of confidentiality that I believe is almost ‘Patient/ Doctor’. I take great pride in my work and am not satisfied until the job has been completed to your satisfaction. Thank you for reading my introduction and please do no hesitate to call me should you require the assistance of your local professional Locksmith. Visit our services page for more information about the services we can provide. If you have any queries or have an emergency, please do not hesitate to contact us! We should be able to give you an estimate over the phone or firm quote with a no obligation on-site visit. I am happy to advertise my prices. If you require a locksmith to come to your premises, PLEASE ask them for a quote or estimate as you are not price protected after the work has been completed. Payment is collected upon completion of the work and can be made using debit/credit cards, cash or cheque. All parts remain the property of A1079 Locksmiths until fully paid for. Prices are correct at March 2016. Prices shown are for labour only and do not include the price of parts. Rates shown apply to the first hour or part, each subsequent hour is charged at £20 per hour or part, regardless of the time/day.